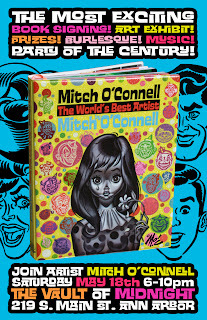 Gallery Show of Mitch O'Connell masterpieces! Adult Beverages will be offered! 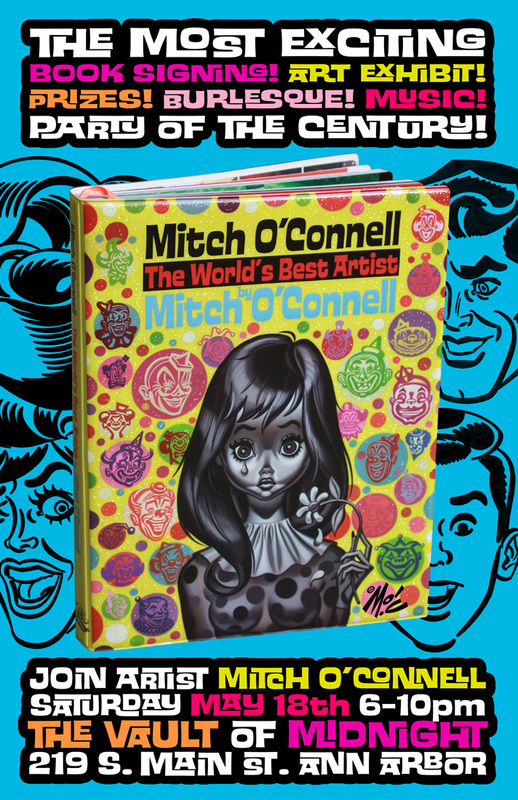 "I'm a great admirer of artist Mitch O'Connell. I'm envious of his work, which pays homage to exactly the kind of garish mid-century populuxe ephemera that triggers a kind of lowbrow Stendhal syndrome in me." I mean how can I even compete with that? Regardless, you should check out the signing/show/return of the prodigal son tomorrow at Vault of Midnight. I bet you'll have a great time.